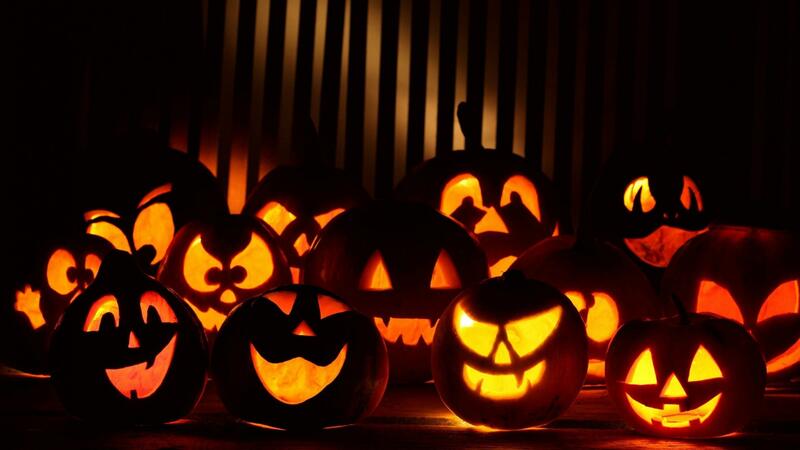 All of us here at Nowakowski Legal PLLC want to wish you and your family both a fun and safe Halloween weekend. But what do you do once the kids are home safe from their ghoulish escapades of trick or treating? Assuming their Halloween is anything like ours was growing up, they likely accumulated a mountain of candy bars, gum balls, and other delicious sugary treats. Well, we here at Nowakowski Legal PLLC have a suggestion to take the basic tenets of a trust and apply it to your children’s newly acquired wealth (i.e. their candy assets). The Following Halloween Themed Trust Example is Partially Informational, but Mostly for Fun. To Learn More About the Real Benefits of Drafting a Trust for your Estate Plan, Contact Nowakowski Legal PLLC and Schedule a Free Consultation Today. Most Importantly, Have a Safe and Happy Halloween! So your little ghosts and ghouls have accumulated 100,000.00 candy corns worth of assets this Halloween. Being the wise and forward thinking children that they are, they know that if they just keep their candy in their room, they’ll just eat it all within a few days and have nothing but stomach aches to show for it. Your children come to you and ask if there is some sort of a method were their candy can be kept safe, can be regulated as to dispersal, but will still ultimately be held for their benefit? Having recently researched an estate plan with your attorney (i.e. such as Nowakowski Legal PLLC), you suggest to your children that they set up a candy trust. Going over the details, you explain to your kids that a trust is essentially a method in which they (i.e. the “Grantors”) designate a person to hold on to and manage their candy assets (i.e. the “Trustee”) for the benefit of whomever they designate (i.e. the “Beneficiaries”). As the candy assets currently belong to your children, you let them know that this would make them the Grantor in the trust. Furthermore, because they ultimately wish to have the candy given back to them, you also let them know that they would be Beneficiaries. So with that, you ask your children who they might trust to hold and manage their candy assets for them? After discussing it among themselves for a moment, your children come to the conclusion that you, their parents, are the most trustworthy people they know and suggest that you therefore be their Trustee. Now that all the parties to the trust have been determined, your children begin to wonder how this can ultimately help them in managing their candy? You explain to them that before they transfer the candy to you (the Trustee), they (the Grantors) determine certain guidelines and rules under which you will distribute the candy back to them. Giving some thought to it, your children mainly want to make sure that they don’t go through all their candy in a short amount of time; they want to enjoy it for as long as possible. With that in mind, they decide that they would like to have a little candy each week until next Halloween and want their Trustee to make a weekly disbursement to them of 1,000.00 candy corns for the rest of the year. After doing the math, you let them know that over a 52 week year, that comes to a total of only 52,000.00 candy corns and they will still have a remaining amount of 48,000.00 candy corns in the trust (not taking in to account any candy interest accumulation of course). Feeling charitable, your kids tell you to give the remaining 48,000.00 candy corns to needy children in the neighborhood. Your children being happy with the arrangement draft and execute a formal trust document, transfer the candy assets to your holding account, receive their first disbursement and run off to enjoy the remaining hours of their Halloween weekend. So what all has been accomplished with this candy trust? Primarily, your children have set up a method were they can be assured the benefit from their accumulated candy wealth for a long period of time; this also has the added benefit of preventing your children from frivolously expending all their candy assets in a short period. Additionally, depending on the type of trust that this is, it may help in the protection of your kids candy assets from candy creditors. Lastly, due to your children’s charitable action of giving the remaining 48,000.00 candy corns to needy children, this could be considered a charitable remainder trust and allow your children to deduct any “naughty” they might have accumulated on Santa’s list at the end of the year. All in all, this has resulted in a good outcome for your children. We hope that you have enjoyed this fun example of how you might be able to apply the concept of a trust to your children’s accumulated Halloween candy wealth! Just think, if your kids can benefit this much from a simple trust, then how much could it help you in your estate planning? If you are interested in learning more about trusts and estate planning, be sure to contact Nowakowski Legal PLLC to schedule a free consultation.